The fun is in full swing on Give Back Bingo, up for it? Jump on this entertaining bingo site anywhere and anytime to discover its panoply of bingo rooms, slots machines and casino games. Give Back Bingo is more than just an online bingo site. It has an amazing purpose which is to give back to its community. Every single month they donate all their bingo profits to charities. Join hands with them by taking part in their fundraising events, weekly rooms and special promotions to top up their donation bucket. Give Back Bingo is all about being friendly, playing the best games and seizing the most rewarding freebies. Join the bingo site and check out the best 75-ball and 90-ball bingo variants. Yes, the finest ones are reunited under the same digital roof! But wait! If you are more of a slot player, the massive list of online slots is yours to choose from! Take your pick and enjoy! Every game at Give Back Bingo is an adventure! Are you ready for yours to begin? Give Your Paws To Give Back Bingo! The canines are swarming the place but rest assured, they do not bite. They are cute little cuddly puppies that will greet you on Give Back Bingo, the lively bingo site. Why lively? Well, because it is a jolly bingo site filled with the best bingo games plus some sensational bonuses. If you wish to engage in some incredible bingo rounds in a cosy and warm atmosphere, then Give Back Bingo is the place to be! To play at Give Back Bingo, you do not need a desktop device. The site supports the Responsive Adaptive Display, making it compatible on mobile, tablet and desktop device. Cute puppies and bingo games are but two reasons that make Give Back Bingo so delightful to play at. Why not check out some of the most honourable reasons right away? You might want to try some bingo games after reading all these praising elements. Your bonuses, rewards or jackpots won’t be any smaller when you play at Give Back Bingo. In fact, they are taking a step up! The bingo site loves to pamper all fellas out there who enjoy playing online. Register and grab your treats on the first deposit! 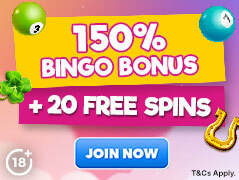 Yes, that’s right… you can have 150% bingo bonus plus 20 spins totally free to play on the exclusive games! Did you claim your share of the offer yet? 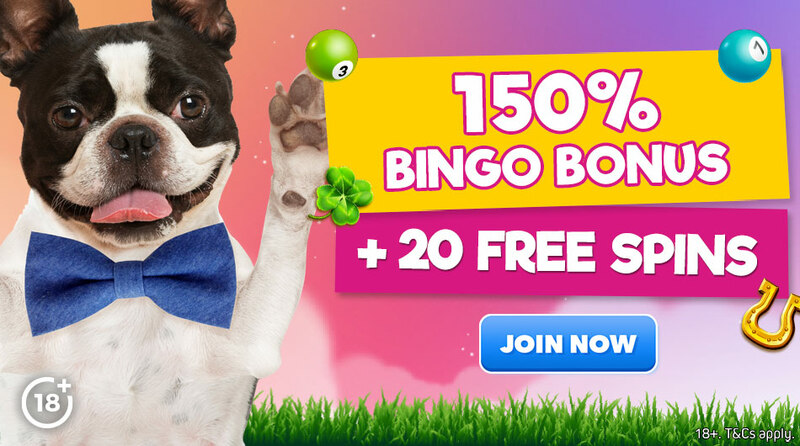 Have you ever imagined playing bingo with numerous benefits and bonuses at your disposal? Stop imagining since it is entirely pawssible at Give Back Bingo. At the bingo site, loyalty is a trait of the best players. As such, they are rewarded with mega bonuses exclusively for VIPs and benefits including cashbacks and gifts while being given the collar of VIPs. Wondering how you can get your paws on these phenomenal perks? Visit the Loyalty section to have all the details! There is no hassle when it comes to deposit methods at Give Back Bingo. You are offered numerous payment methods at your disposal so choose the ones you deem convenient and drop in the depos! Select between PayPal, Neteller, various brands of debit and credit cards amongst many others. They are all safe, secure and efficient. What To Play At Give Back Bingo? The finest bingo games are reunited once again under the same virtual roof at Give Back Bingo. Play 90-ball bingo, 75-ball bingo and 5-line bingo on the numerous bingo rooms displayed at the bingo lobby. Rest assured, they are sorted according to their gameplay to ease your search. Prefer going for the Pre-Buy rooms? They are available as well. Purchase your tickets and hop online the day the game is to be played. But there is not only bingo that is going on in those rooms. Outstanding Progressive Jackpots are a major element of interest. Some are even reaching a gigantic amount of £10,000! Drop by the bingo lobby to have the best out of Give Back Bingo. For all those who prefer going casual on their gameplays, the Slots & Games section is presented to you. This fang-tastic section is packed with the most sizzling slots of the market that promise a one of a kind casino fun. Is that what awesome games look like? Yes, indeed! Experience the best slots of NetEnt, Microgaming, Realistic Games and many more top software providers of the market at Give Back Bingo. Promising high-quality visuals, get ready to feel immersed in the gameplay that will not only exhibit a particular theme but will also provide you with thrilling features. Give Back Bingo also displays table and card games, can you believe it? This one is indeed a complete entertainment package. Select your favourite table game that includes Poker, Roulette and Blackjack to swap to a high roller’s attitude at once! And now, you are to make your own list of reasons why Give Back Bingo is so adored. The only way to be able to make the list is to play at the bingo site!